Water softeners for London are available from MDS or for anywhere in the U.K online. Hard water is an issue for many households in London and various locations around the U.K. Apart from the obvious problems of scale and premature failure of plumbing and heating products hard water is not very nice for bathing and laundry. It requires far higher levels of soap, detergent and cleaning products to achieve reasonable results but even then it will not compare to soft water. At MDS we sell the U.K’s leading brand of water softeners. Atlantis produce a wide range of domestic and commercial water softeners but the most popular are the AT350 Eco Logic and the ever popular competitively priced AT210 standard unit. We are now experiencing a growing demand for the AT350 owing to its greener credentials. It uses 50% less salt in regeneration and 50% less water meaning long term savings and lower environmental impact. 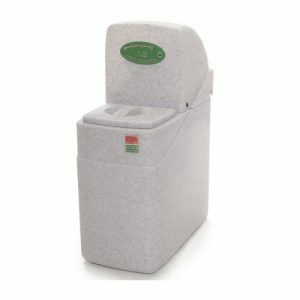 When you buy an Atlantis water softener you get a ten year warranty and other key features along with a low price. The AT350 costs more than the standard AT210 but has the capacity to produce more soft water from less salt than any other water softener. A unique slim line design. The latest fully upgradable electronics. Quick and simple set up and operation along with a reassuring ten year warranty. The worlds number 1 control valve and meter control as standard. Automatic partial regeneration to save on salt usage. In short why squander more money on inferior products when you can buy the best from MDS at the lowest price. Call on 020 8778 2887 or look online now and please compare prices before you buy.